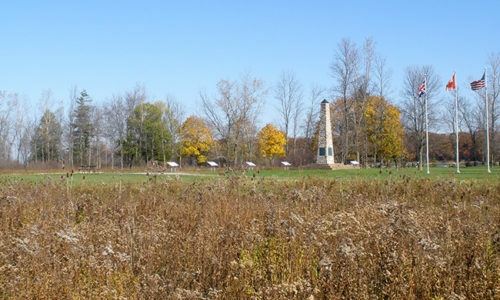 The Niagara Parks Commission is one of Ontario’s original environmental organizations. 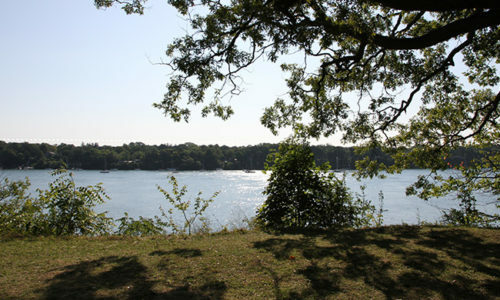 Since its founding in 1885, Niagara Parks has served a mandate that includes the preservation of natural habitat along the Niagara River corridor from Lake Erie to Lake Ontario. Today, Niagara Parks’ environmental stewardship mandate is at the very centre of its mission as the Commission works to protect, conserve and promote the natural and cultural heritage of the Niagara River corridor. That mandate now includes the pursuit of innovative conservation practices along with building an organization that is itself sustainable in its policies, plans and activities. This project aims to restore the Niagara River shoreline at identified areas to increase fish populations and reduce erosion. To date, over 800 metres of coastal wetland habitat has been created, utilizing over 200 ash trees that have succumbed to the Emerald Ash Borer and over 350 recycled Christmas trees that have been anchored to the bed of the Niagara River. Over the next two years, this project will aim to create, restore, and expand up to 2 kilometres of vegetated shoreline buffers along the Niagara River through the removal of non-native species, where required, and the planting of a diversity of native plant species. Also, where possible, woody debris will be anchored at select locations within the river to soften the shoreline and provide suitable fish refuge and nursery habitat. In collaboration with Niagara College’s Ecosystem Restoration Program, priority areas for shoreline vegetation restoration have been identified for initial implementation. 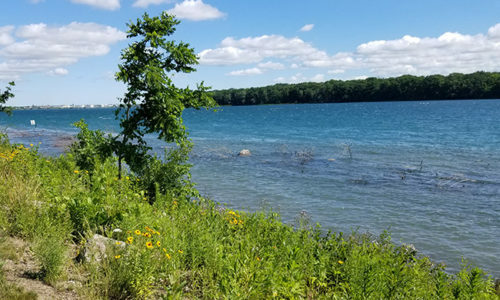 Niagara Parks is developing standards for its many viewpoints along the Niagara River corridor as one tactic for the management of the entire shoreline. These viewpoint standards will help to create better and more sustainable views and prioritize maintenance activities. The standards will also be used to identify new viewpoints and assess current viewpoints. With the drastic decline of grassland habitat and grassland bird populations throughout southern Ontario, there is an essential need to protect and enhance existing grasslands. The primary purpose of the Chippawa Grassland Bird Habitat Management Plan is to enhance existing grasslands on Niagara Parks property to support grassland dependent bird species. Niagara Parks is the steward of some of the highest concentrations of rare and endangered species in Ontario. 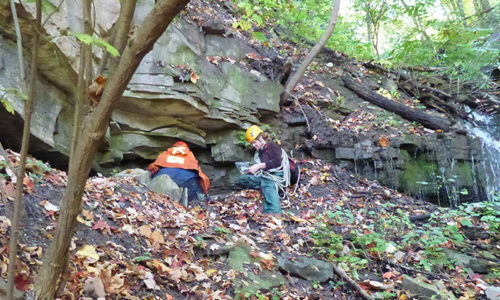 From northern dusky salamanders to peregrine falcons and butternut trees, some of the province’s most at-risk species of flora and fauna survive because of habitats managed by Niagara Parks. Niagara Parks protects these species through a wide-ranging program of habitat conservation, collaborative research and public education. Building on the steadfast commitment to the environment and the preservation of the natural lands along the Niagara River Corridor, Niagara Parks established 12 pollinator gardens along the Niagara Parkway to provide habitat for pollinator species from bumblebees to hummingbirds, who play a crucial role in maintaining our environment. The gardens are connected through both the scenic Niagara Parkway and the Niagara River Recreation Trail, creating the Pollinator Garden Route which can be enjoyed by bicycle, foot, or automobile. Niagara Parks works on the front lines of the ongoing fight against invasive species. With lands stretching from Lake Erie to Lake Ontario along the Niagara River Corridor, Niagara Parks is often the first Canadian defence against emerging threats. Invasive species - plants, insects and animals - can have significant consequences for everything from wildlife habitat to the economy. 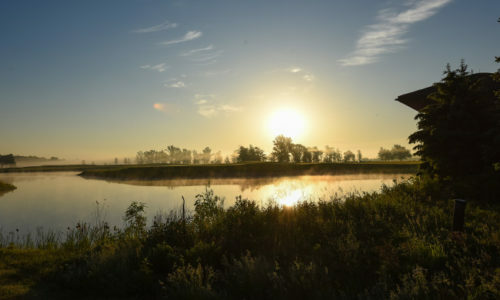 In 2014, Niagara Parks Legends on the Niagara Golf Complex achieved designation as a Certified Audubon Cooperative Sanctuary, through the Audubon Cooperative Sanctuary Program for Golf Courses. To reach certification, a course must demonstrate that they are maintaining a high degree of environmental quality in a number of areas. 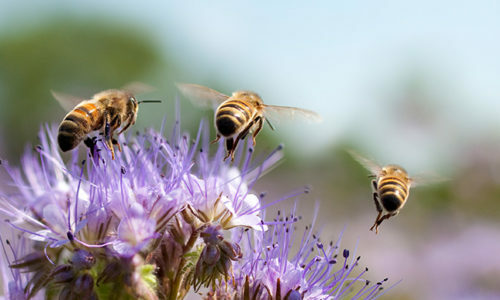 These categories include: Environmental Planning, Wildlife & Habitat Management, Outreach and Education, Chemical Use Reduction and Safety, Water Conservation, and Water Quality Management. 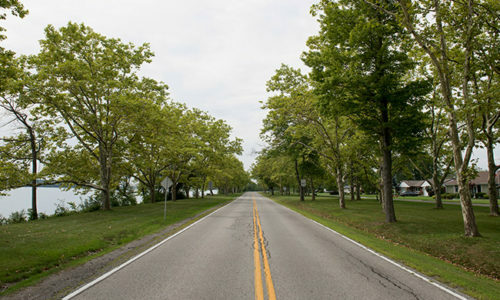 Due to Emerald Ash Borer infestation, a significant number of ash trees have been removed from Niagara Parks land directly behind the residences along service road 29 and 30. Property encroachment activities have also impacted the ecological integrity of this woodlot. 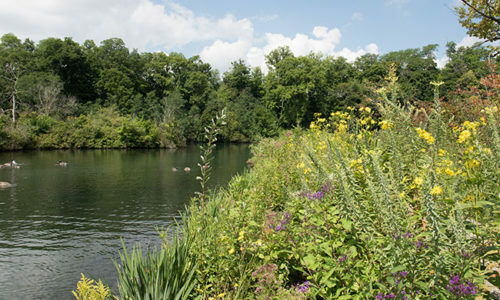 Niagara Parks has developed a restoration planting plan behind these properties to control invasive species, as well as improve and support the ecosystem health. The plant materials are selected to provide a buffer of low-growing, ornamental, bird-attracting and berry producing shrubs that are fast growing native species to inhibit establishment of buckthorn and other invasive species. Additionally, trees of the same species as existing vegetation are used to infill or replace ash trees. In wet areas, wet-tolerant species for the wetland planting and butterfly/pollinator-attracting wildflowers for the meadow planting are proposed. The planting is scheduled for the Spring 2019. Stewarding Ontario’s urban forests has never been more important. With crises like the invasion of the emerald ash borer demonstrating vividly the fragility of our forests, we need to protect and sustain this vital aspect of our ecosystem. 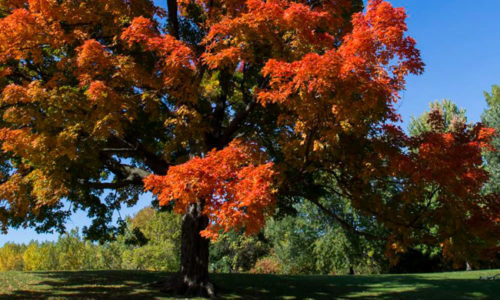 As part of its 2018-2028 Strategic Plan, the Niagara Parks Commission is developing a comprehensive Urban Forestry Management Plan. The plan is scheduled for final approval late in 2018, but key plan projects are already underway. The plan sets a number of research-based goals and strategies that will help Niagara Parks create a healthier and more resilient urban forest that supports wildlife and recreational opportunities, reduces pollution and helps mitigate the impacts of flooding, erosion and even climate change. In April 2018, The Niagara Parks Commission and Brock University’s Environmental Sustainability Research Centre formalized a partnership to collaborate on mutually beneficial projects with a focus on environmental stewardship. This partnership, known as The Excellence in Environmental Stewardship Initiative, will advance understanding (theoretical and applied) of environmental stewardship, inform and enhance practice, and improve the capacity of Niagara Parks and its staff to make evidence-based decisions. Niagara Parks works regularly with the following groups and organizations: Ministry of Tourism, Culture and Sport; Ministry of Natural Resources and Forestry; Environment Canada; Ontario Power Generation; Parks Canada; Forests Ontario; NGO’s – Canadian Wildlife Federation, Land Care Niagara, Niagara Restoration Council; Nature Clubs – e.g. Niagara Falls Nature Club; Friends of Niagara Glen; and Local Municipalities. In February 2014, Niagara Parks’ Legends on the Niagara Golf Complex achieved designation as a “Certiﬁed Audubon Cooperative Sanctuary” through the Audubon Cooperative Sanctuary Program for Golf Courses. Niagara Parks has been working to achieve this designation with the Audubon International since 2004. 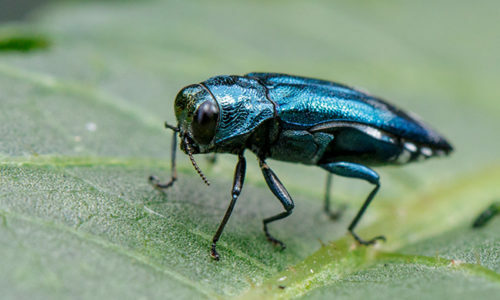 The Emerald Ash Borer (EAB) is a non-native invasive insect that has killed millions of ash trees in southwestern Ontario and in the United States, and a conﬁrmed infestation in Niagara Parks was conﬁrmed in 2012. Infested ash trees die off within two to ﬁve years, posing a major economic and environmental threat to urban and forested areas. Have your say and submit your feedback to the project team developing Niagara Parks’ environmental stewardship strategies. Subscribe to receive updates on this project at Niagara Parks. You can customize your updates after you subscribe.